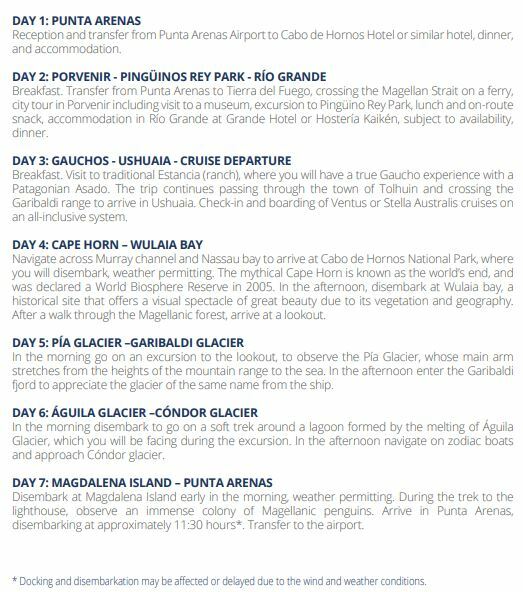 When you book our Patagonia cruise tours you have to opportunity to relax on a spacious cruise ship to Patagonia, with a beautiful atmosphere, and fine dining. Before you embark on your Patagonia adventure enjoy the comfort of cabins that provide you with incredible ocean views and lavish decor. The Stella Australis is an awe-inspiring adventure cruise ship. The ship, which was constructed in 2010, consists of 100 total cabins and can hold up to 210 passengers. Indulge in first class Chile travel . 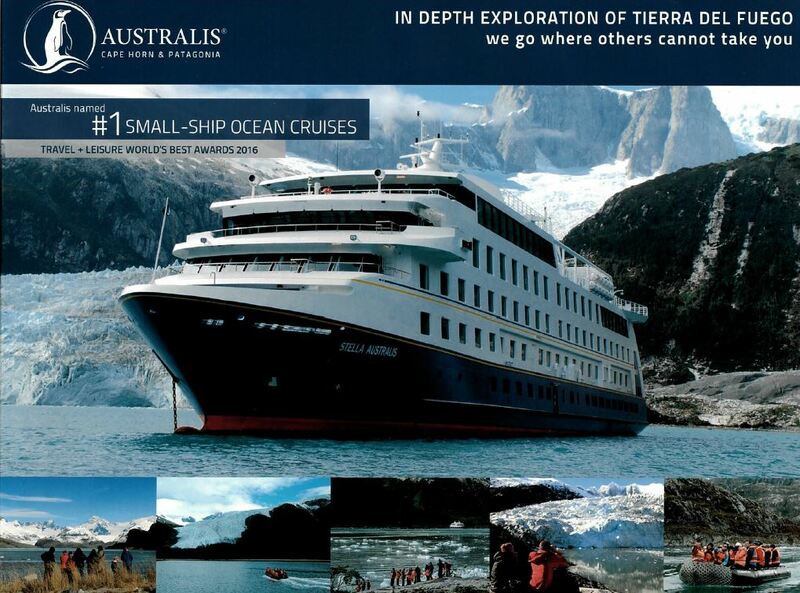 The Ventus Australis was tailor-made for exploring the remote southern tip of South America, all aspects of the 210-passenger ship -- including size, length, draft and engine power -- are designed to give Ventus Australis the extreme maneuverability necessary to navigate narrow fjords and channels where no other cruise ships can venture. 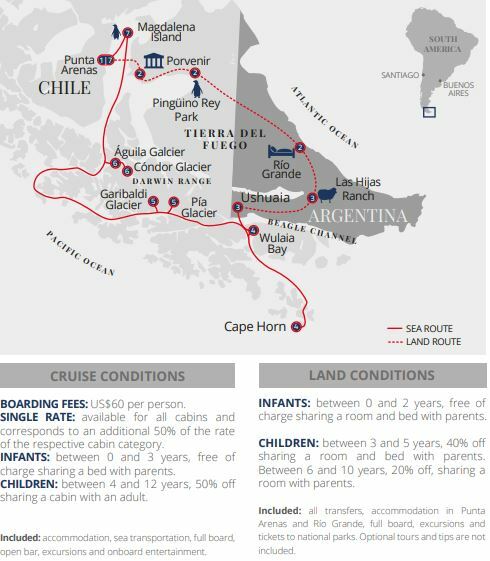 Want to extend your stay in Chile? Check out Hotel Las Torres Patagonia! Let us help you plan the land & sea vacation of your dreams!